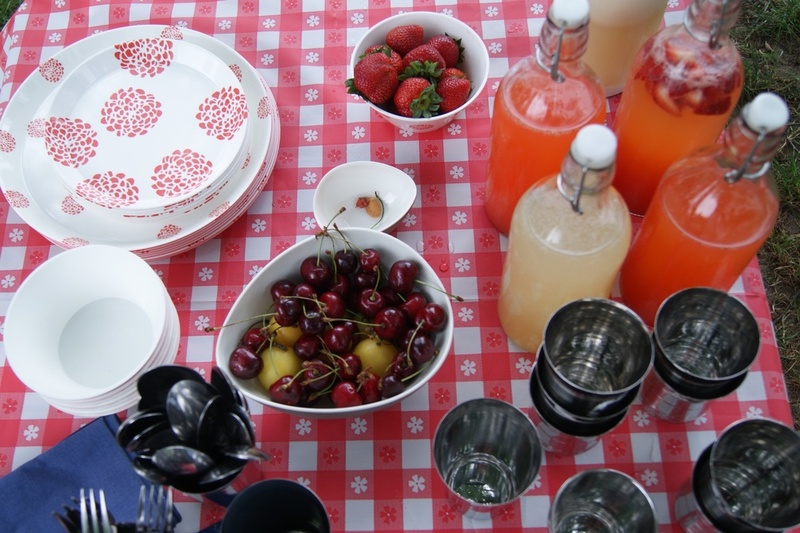 People have been dining out of doors since the dawn of time, but what does it mean to picnic? The origin of the word in English is said to derive from the French, Pique-Nique, which appears to have hit the scene in the 17th century, connoting a meal in which everyone contributed something. In 1801, a group of early London hipsters formed the London Pic-nic Society which was really a pot-luck supper-club of sorts that met indoors at the Pantheon and included various kinds of dinner theatre. However, it wasn't until the mid 19th century that the term picnic started to describe the deliberate eating of a meal al fresco, the way we recognize it today. For those of us who live in dense urban areas without private gardens, having a picnic is an act of communal affirmation. We can't disappear behind fences in our back yard, which leaves us to venture out into our public green spaces to get our fill of the civilizing effects that come with dining en plein air. The Company Picnic is a series of pop-up picnics held in a secret location in Central Park from June through September, weather permitting. Each picnic focuses on a certain food theme, but is otherwise completely random - we never know who will appear and what they will bring, but there is always more than enough to eat. This website - a work in progress - highlights select menus and events held over the past three years and will grow as we continue to celebrate all things picnicky. The 2016 picnic season has come to an end, but we are already planning for next year. If you would like to join us next season, dust off your picnic basket and sign up for our mailing list (on the How It Works page). n.b. Most of the photos on this site have been taken by yours truly, with the exception of the really good ones. Those were taken by two photographers, Joshua Kristal and Jonas Gustavsson, and I have attempted to credit them throughout the site.